This entry was posted in worst graffiti and tagged #Jane H, belmont, coven. Bookmark the permalink. I grew up in that part of the world. I always noticed, even as a kid, that there were a lot of straw brooms parked out the front of houses. Unlike the “Leafy Western” sububs where the broomsticks are congregated around the fashionable coffee shops and super-expensive gymnasiums. OT – but on the same theme: George’s little girl Michaela is doing her very best to further discredit the Commonwealth Government. Reinforcing their spiteful policies with most accomplished spin and misdirection. There is a bouncy castle and free tea and coffee, so even if you’re not into the occult there are still things to enjoy. If you like bouncy castles, tea and coffee. 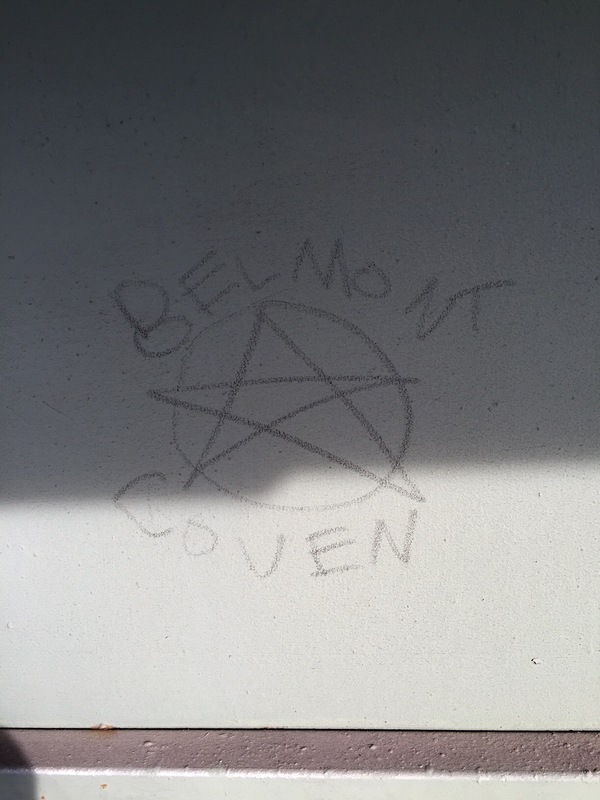 Well, what do you expect of a suburb with a Wicca Reserve?